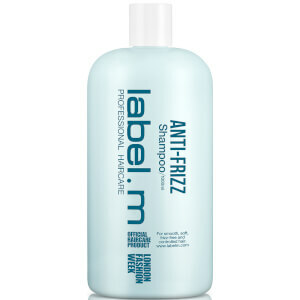 Prime and protect your locks with label.m Anti-Frizz Mist; a weightless formula that works to repair, control and defend against heat styling damage. 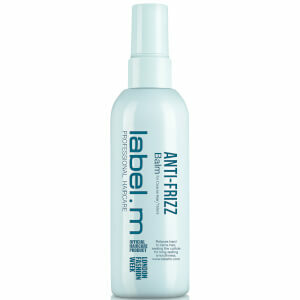 Ideal for use on damp or dry hair, the non-greasy mist delivers multiple benefits, including combating frizz and flyaways, repairing split ends, reducing drying time and improved overall manageability. Expect smooth, sleek hair with a salon-worthy finish. Alcohol Denat., Butane, Isobutane, Propane, Dipropylene Glycol, Aqua (Water), Parfum (Fragrance), Polysilicone-29, Benzyl Salicylate, Hexyl Cinnamal, Alpha-Isomethyl Ionone, Hydroxycitronellal, Linalool, Citronellol, Limonene.